Offertory. Ps. 92, 1, 2. Second Mass of Christmas Day. Thank you for your continued support. 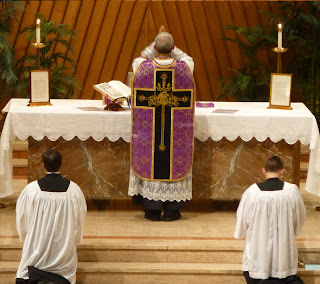 Through your kind prayers and generous assistance, Woodlawn Council 2161 has sponsored the Traditional Latin Mass for the past ten years, since the promulgation of Summorum Pontificum by Pope Benedict XVI in 2007. 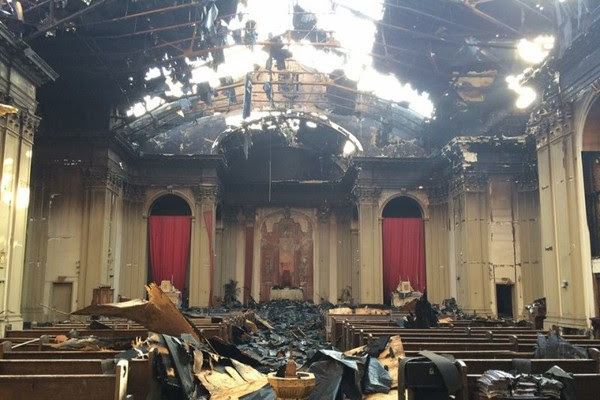 Over that time, Woodlawn Council has hosted 84 Traditional Latin Masses at St. Titus Church in Aliquippa, Pennsylvania. Three of those Masses have been Pontifical Masses offered by Bishops Teodoro de Faria and Athanasius Schneider. 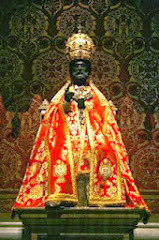 During the past ten years we have organized the solemn consecration of the City of Aliquippa to the Immaculate Heart of Mary and the Sacred Heart of Jesus; hosted ten Battle of Lepanto Masses & Dinners; five Masses and conferences in honor of Blessed Karl of Austria; three Blue Masses in honor of local law enforcement; and a Mass and conference to commemorate the 100th anniversary of Our Lady's apparitions at Fatima. 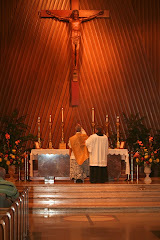 We have welcomed twenty-one priests to St. Titus Church to offer the Traditional Mass. Priests from the Institute of Christ the King Sovereign Priest; the Priestly Fraternity of Saint Peter; the Third Order Regular of Saint Francis; the Franciscan Friars of the Immaculate; the Order of Friars Minor Capuchins; and the Diocese of Pittsburgh. We have also helped arrange three Traditional Requiem Funeral Masses for local faithful. None of this would have been possible without your prayers, support, and participation. For this we are eternally grateful. In gratitude, our friends, benefactors, and guild members are remembered at every Traditional Latin Mass sponsored by Woodlawn Council. 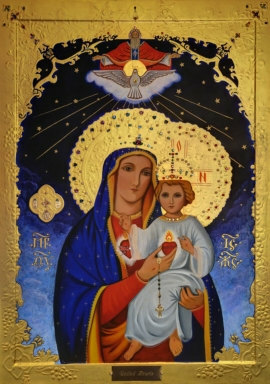 Beginning in January 2018, as we embark on our second decade of bringing the Traditional Latin Mass to the faithful of Beaver County, Woodlawn Council will sponsor a Traditional Latin Mass on the 3rd Sunday of the month at 12 noon at St. Titus Church in Aliquippa. We invite you to join us in attending these Sunday Masses, and ask that you invite others as well. 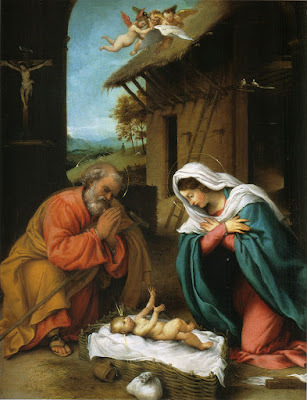 Trusting always in the Sacred & Immaculate Hearts, we wish you and your loved ones a Blessed & Merry Christmas and a Happy & Holy New Year. Blood of Christ, save us. The Knights of Columbus Woodlawn Council 2161 announces the award of a $500 scholarship grant to Subdeacon Ross Bourgeois, a seminarian from New Orleans who is studying for the holy priesthood with the Institute of Christ the King Sovereign Priest. To date, Woodlawn Council has awarded $10,000 to traditional seminarians studying with the Institute of Christ the King Sovereign Priest and the Priestly Fraternity of Saint Peter. Posted on 1 December 2017. See additional photos and original post here. His Eminence, Crescenzio Cardinal Sepe, Archbishop of Naples, has entrusted to the Institute the Church of Our Lady of the Rosary “alle Pigne” (Chiesa di Santa Maria del Rosario alle Pigne). Along with the canonical establishment of this apostolate, Cardinal Sepe has nominated as Rector of the church Canon Louis Valadier. Located in Piazza Cavour in downtown Naples about a ten minute walk from the Cathedral, Our Lady of the Rosary Church “alle Pigne” had suffered damage in the 1980 earthquake. Despite restoration work in the 1990s, it had not been reopened. 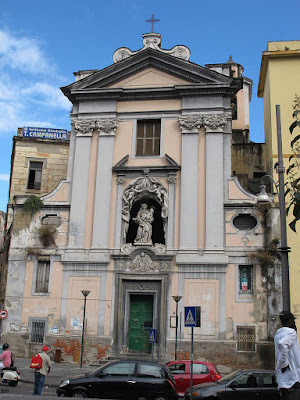 Dating from the 17th century, the church is the artistic masterpiece of Arcangelo Guglielmelli. 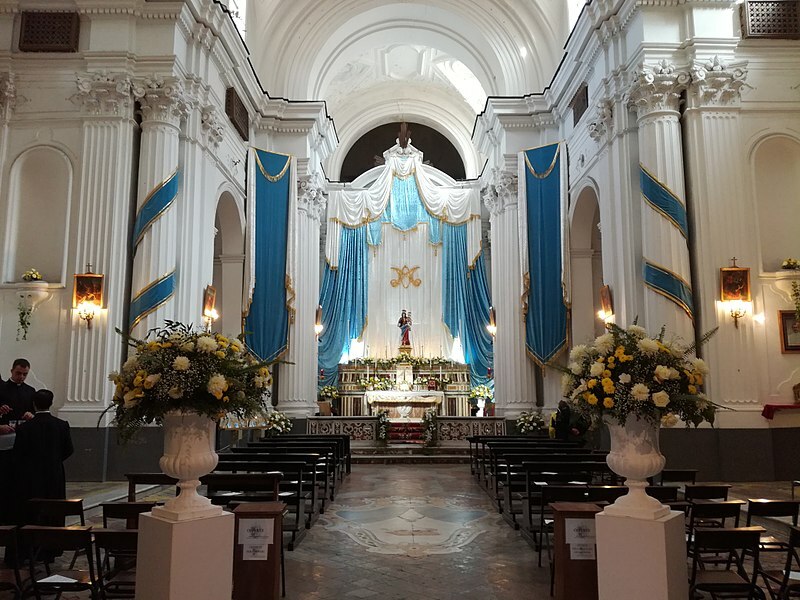 At the invitation of Cardinal Sepe, the Institute clergy and local faithful worked to prepare the church for the solemn ceremony of reopening on Friday evening, October 6. To represent the Cardinal at the ceremony, the Most Reverend Lucio Lemmo, Auxiliary Bishop, presided. The Prior general of the Institute, Monsignor Gilles Wach, was present, along with the Institute’s resident clergy in Naples, Canon Louis Valadier, ​Canon Guillaume Fenoll, ​Canon Florian Braun, and seminarian Abbe Andrea De Pas​cale. The Archbishop’s Delegate for the union of Catholic Works attended, as well as several civil and military authorities, such as the Commandant of the Carabinieri of the City’s Stella neighborhood. 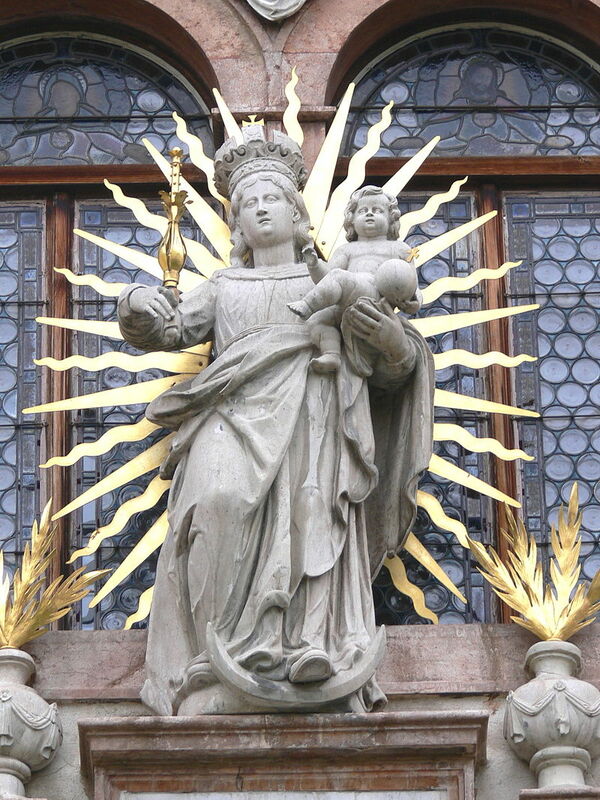 The statue of Our Lady of the Rosary on the exterior façade of the church was solemnly crowned. Bishop Lemmo blessed the restored wooden statue of Our Lady of the Rosary venerated above the high altar. 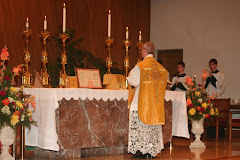 Solemn High Mass was celebrated by Monsignor Wach. The evening’s events included a performance by the Giubileo choir, which sang popular songs of Neapolitan tradition, festive fireworks, and a buffet reception. The apostolate website can be viewed here. 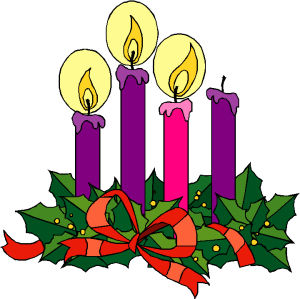 Mass is celebrated daily at 7:00pm.